Gather your ghouls, scare up some snacks and get ready to party with these Halloween Jello shots! 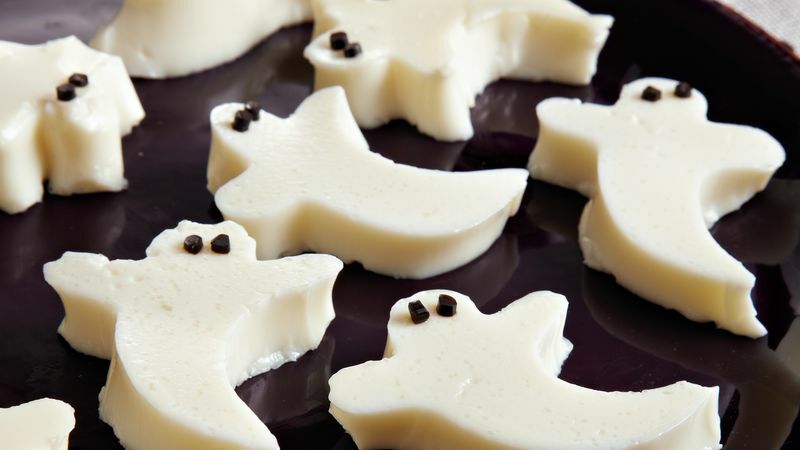 From cute to creepy, your party guests will be goblin’ up these jiggly treats. Keep it light and fun with candy corn-style shots, or make it super freaky with oozing brains! Try easy techniques like adding tonic water to create a glow-in-the-dark effect, or fill up straws with gelatin to make wiggly worms. And if you prefer to make your Jello shots kid-friendly, simply skip the booze and use water or juice instead. So get ready to party, these Jello shots are all treat, no tricks. Learn to make them with our how to make Jello shots guide or find more drinks for your Halloween party.